Construction management is a very diverse field that has managed to pull in people from all different walks of life whether they’re from the engineering field, project management, or any other field. While the field is very lucrative at the moment, we’re still left with one very important question: what does it mean to be involved in construction management? What can you expect from the field? Today we’re going to look at a potential day that you might experience in the job after obtaining your construction manager certification. 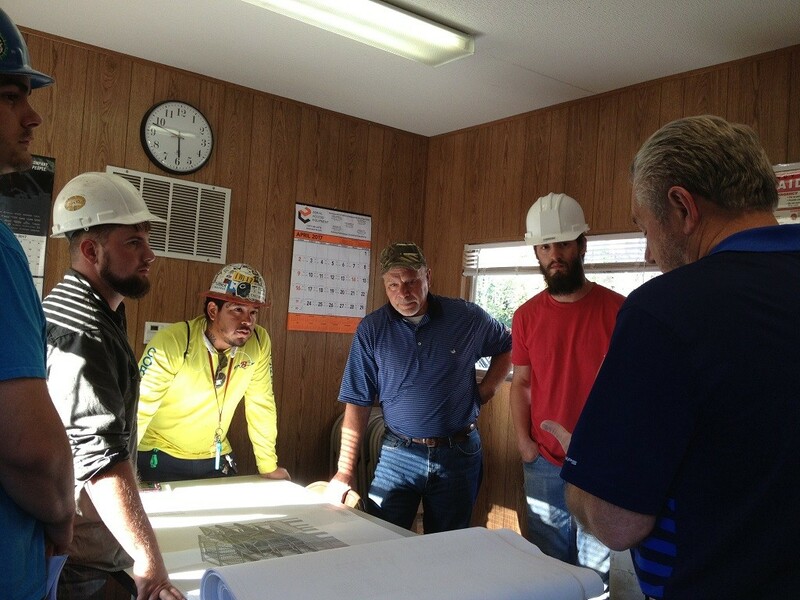 As far as the schedule is concerned, most contractors work on a normal construction timeline. In other words, they typically need to be awake by 6:00 AM and their days are usually split between the job site and the administrative work. There are some obvious required skills, such as practical knowledge and job experience, but there are some innate skills that a construction manager should be expected to have in order to do their job effectively. For example, they need to be outstanding at communication, they need to be accessible, and most importantly, they need to be competent. These are skills that simply cannot be taught, they need to come pre-engrained, and they are extremely valuable on any job site. The most important thing that you should take away from this, is that it’s not a boring job. It’s going to challenge you in ways you hadn’t even considered. This isn’t your typical office job and it’s definitely not retail. You aren’t going to be sitting at a desk every single day hoping that the clock runs out. Instead, you’re going to be out there, in the field, and essentially making your own schedule. In the end, the goal is going to be to make sure that the job gets done right the very first time. It’s not easy, and it’s not a job that every person can do. Don’t worry, that’s what they have you for. If you want to jump into the field of construction management you’re going to need a strong educational foundation, and ITI Technical College can provide exactly that. Contact us today for more information and to really, truly get started. Is Construction Management the Right Path for You? If you are in the mood for a new career then you might want to consider construction management. It is a lucrative career, but is it right for you? According to the Bureau of Labor Statistics (BLS), the median pay in 2016 was $89,300 per year, which comes out to $42.93 per hour. This is a serious improvement over the normal 9-5 job that only pays minimum wage, and the job outlook through 2026 is extremely positive with faster than average growth predicted. It is expected to grow by 11% which means that through 2026 we will see 46,100 jobs added to the field of construction management! The positive statistics do not end there. Currently, there are 403,800 industry jobs in the United States, meaning there will always be plenty of room in the construction management field. So, what will you be doing, and is it the right field for you? As a construction manager, you will find yourself responsible for a wide range of things, including the assurance that the project will be completed on time and within the confines of the allowable budget. In addition, you will need to make sure that you are speaking with customers, working with clients, and making sure that subcontractors are hired when they need to be. In a job like this, you are going to have a lot of responsibility placed on your shoulders but at the end of the day, it is well worth the investment. Who Can Be a Construction Manager? Interpersonal Skills – This is not a career path where you simply sit in an office and keep yourself hidden away from the world all day. In fact, you will be working with contractors, subcontractors, employees, government officials, clients, and much more. Math Skills – Fortunately this is something individuals can learn, but being able to do the math on the fly will help you with measurements, supply orders, and much more. Experience – While it is not necessarily required for you to have a full range of experience in order to be a construction manager it is strongly recommended and highly suggested that you spend at least a little bit of time in the construction industry as a laborer. You can get an idea of how the industry works from the ground up and you can be much more effective when you finally take up your position. Bachelor’s Degree – For the most part you will need to obtain a bachelor’s degree in addition to your Associate of Occupational Studies (AOS) degree in Construction Management before construction companies will consider you for this type of position. You must consider this factor when preparing for this career path. As you can see, there is a lot for you to like about this career and once you are in, it will not be long until you start to make the living you deserve. Before all of that can happen, however, you need to get the required degrees! Talk to us today for more information about our degree program and information for financial aid, which is available to those who qualify. Comments Off on Is Construction Management the Right Path for You? As you delve into the field of construction management you probably have quite a few questions that need to be answered, from whether or not it’s worth it, and even if you’ll get anything out of it. These are questions that absolutely need to be answered before you start construction manager school and long before you get your construction manager certification. Today we’re going to discuss a few of the most common myths that tend to plague this industry and there is a good chance that you’ve heard at least one of them. Technically this is true because you could complete a project without any management. In fact, there are many who believe project management serves to create a delay and prevents more important work from being done. Now, with that being said, it has been noted on many projects that by using project management it has been easier to deliver on time and within budget. In addition to that, goal achievement is considerably higher which makes a great case for project management. This myth is completely busted and should be ignored as you enter the field. When people hear the word ‘management’ in a job description they make the assumption that it involves pushing paper and in many positions, they might actually be right. With this one, however, they need to take a step back and examine what’s really at stake. As you look at the project management position you see project planning, resource schedules, meeting notes, and more, which all looks very mundane. In fact, as the project manager, you will be meeting with clients and service providers, as well as dealing with your employees. The project manager needs to be a jack of all trades and needs to be able to offer their services in a variety of different capacities. This is dangerous thinking that tends to sink companies. If you have put a lot of work into a project, and if you have poured too many resources, then yes, you’re probably going to feel bad about ending it unfinished, but consider this: what if the original need for the project no longer exists? If that is the case, then the company cannot justify expending further resources, especially on a project that will never allow you to recoup. As a construction manager, you probably want to develop a reputation for getting work done quickly and that’s fine if you can do quality work in a short amount of time, but you should never rush. Most importantly, you should make sure that you have sufficient planning going on, otherwise, you could end up with a low-quality build, and no one ever wants that. What you DO want, however, is quality results, so take your time, plan things out, and make sure that you have the best people on hand. It will make all the difference in the world. These four myths are very prevalent in the construction industry and while some are grounded in truth, most should be taken with a grain of salt, so to speak. 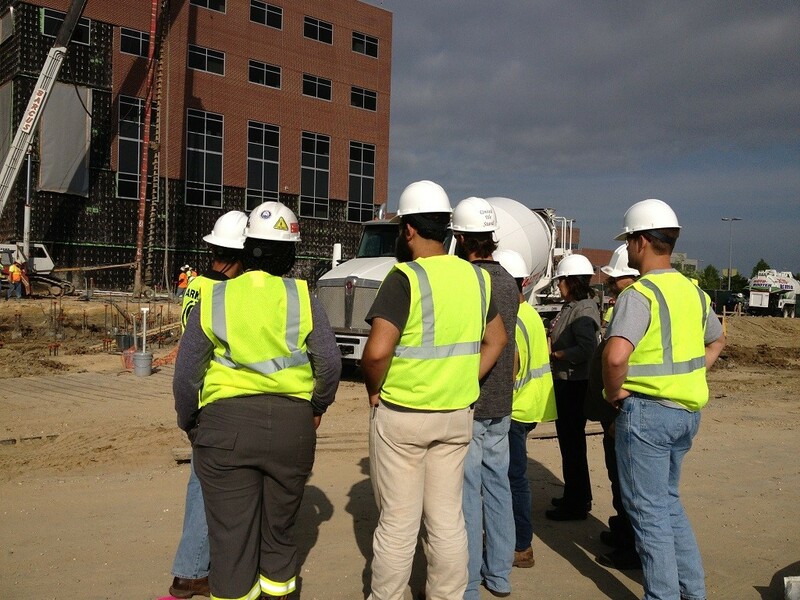 Construction management training is, without a doubt one of the best careers in the industry. It gives you the chance to participate in amazing projects with the manual labor and when executed properly, it can be very rewarding. Call us today for more information on how you can get yourself into this career! As you look for a job in the construction industry you’re probably going to come to realize that yes, you have quite a few choices and you’re going to want to narrow them down. Today we’re looking at the field of construction management, what it is, and how you can get into it. Let’s start by talking about what a construction manager is actually responsible for. These are some serious responsibilities but you also have to consider that once the project is underway, you will remain on-site as a representative of the owner, ensuring that the job goes off without a hitch and according to their specifications. Deviation from the plan will have negative repercussions and definitely nothing that you want to deal with. The biggest difference will be the type of job that you perform once the planning is complete. You will go from planning every minute detail of the project to managing payments and scheduling contractors. Your role is still crucial, and you’d better believe that. Finally, as the project manager, you will be responsible for keeping the project owner up to date on all of the details. From the progress of the project to cost reports, you will need to keep a running record and you will need to be ready to present that information at the end of each week. Keep in mind that without accurate records it can be very difficult to obtain adequate payment from the institution that is funding the project. Your responsibilities are project manager of any construction endeavor are going to remain remarkably similar as you move forward in the industry. The role of the manager is one that will always be crucial to the construction industry and effective management on your part will achieve several goals. First of all, it will keep the project on track so that it can be completed on time, and you will help to prevent any budget crisis that might have otherwise appeared. As you can see, your role in this endeavor is going to be absolutely crucial. It’s a lot of responsibility, and you need to make sure that you’re able to handle it. As you enter this amazing field one of your biggest questions is going to be how much you can actually expect to earn, and it’s far above the normal minimum wage job. According to BLS.gov, the median pay is $42.93 per hour on average which equals $89,300 per year – not a bad income for the median pay! In addition to that, the number of jobs as of 2016 stood at about 403,800 and they are expected in increase by 11% through 2026, opening up a total of 46,100 jobs. With hard work and determination, you could fill one of those positions. Construction management training is a gateway to the future and it’s an outstanding way for you to start improving your life. That being said, now would be a great time for you to give us a call and see what we have to offer you in terms of this or other programs. Financial aid is available for those who qualify. It’s time for you to take command of your future and start living your life the way you want, rather than in the typical 9-5 dynamic that you’ve been stuck in. Are Construction Manager Careers a Good Idea? If you’re nearing completion of your high school diploma and you’re looking for career options, then construction management might be one role that you’ve considered. Entering this profession can provide you with stimulating work and plenty of career opportunities, and would be a great choice for your future. If you’ve been asking yourself whether construction management training is right for you, then the following information should help you to make your choice. Are you an analytical thinker? Do you like to solve problems? Do you want to be in a position where you can lead people and have an influence over positive change? If you can answer yes to these questions, then project management would be a good profession to enter. If you are also interested in engineering and construction, then more specialized construction project management training would be perfect for your future development. As a construction manager, you would be one of the most important people on any given building project. Whether working on residential developments, civil works, or large commercial developments, a construction manager has the role of overseeing aspects of build planning, the build itself, and final completion of a project. You’ll find yourself in a role where you agree on designs and architectural plans, you’ll be able to choose construction materials and methods to suit a project, and you’ll even choose the construction teams and specialist contractors that would be working on a project. The role would mean that you would have plenty of opportunities to leave your mark on a project, but this also means that your job would be demanding and highly involved. With a lot of responsibility, you’d need to have impeccable attention to detail, and you’d have to be highly skilled in all areas of construction management. If the challenge is something that sounds right for you, then you’ll absolutely need to enroll in a construction management program in Baton Rouge LA. To be competitive in the industry, it helps to have a degree in construction project management. At ITI Technical College, you can take a full two-year course of study in our Construction Management Associate in Occupational Studies (AOS) Degree. The course will prepare you for your role in the industry, training everything from business communications and industry specific computer applications, right up to material and tool selection, cost estimation, and the essentials of project management. This is a great opportunity for high school graduates, and may also be an option for construction laborers to begin construction manager certification. With some experience in the construction industry, you may feel that your progression options are limited. However, by taking a degree course in project management, you could step out of a laborer role and into a supervisory and management role, with options to progress if you make the right impressions. Construction managers receive competitive compensation, with the median salary being in excess of $89,000 per year according to BLS.gov. While you might not be able to command such a salary when you are a fresh graduate, you will be able to work your way up to a trusted and senior position where you will have excellent opportunities to earn. If you apply your skills well, you could find yourself working on large and exciting projects, and you could even move into consulting roles, jobs with international construction firms, or you could even work as an advisor for government at a local or national level. To put it simply, your options will only be limited by how hard you’re willing to work, and the impressions you make on those around you in the industry. If you’re wondering whether construction management training is a good pathway to a rewarding career; the answer is a simple YES. 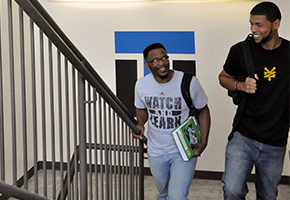 If you want to learn more about the Associate in Occupational Studies degree program and begin the application process, it’s time to talk to the team at ITI Technical College. We’ll run you through the basic course requirements, costs, and financial aid options, allowing you to make the first move towards what could be one of the most important decisions of your lifetime. Comments Off on Are Construction Manager Careers a Good Idea? For some people, it can take years and a number of changes in a career before they find a path that is both engaging and rewarding. If you’re preparing to finish high school, and are still thinking about your future, then construction management training is one of the options that are worth your consideration. As a project manager who specializes in construction, you’ll have a unique opportunity to work on projects that provide real value to families, businesses, and the wider community. 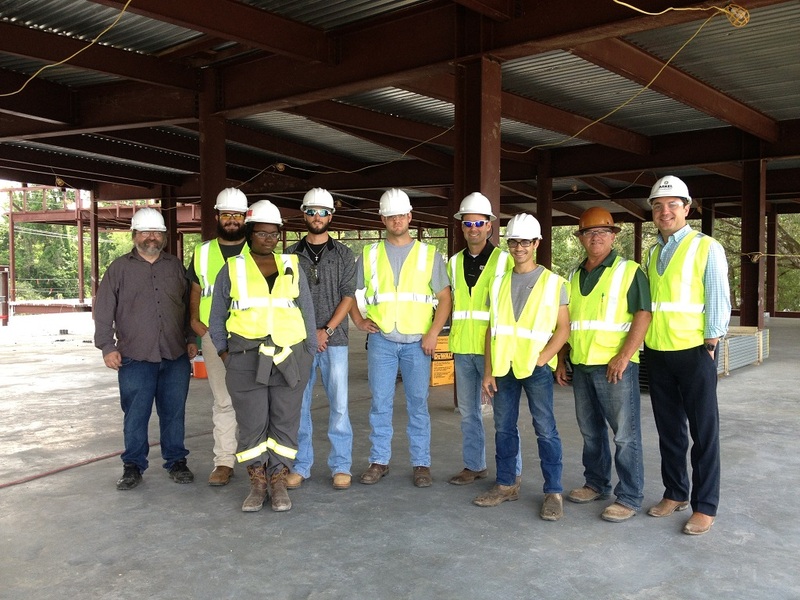 By studying at the ITI Technical College construction management school in Baton Rouge, you could start a career path that would remain challenging and provide opportunities throughout your professional life. It’s important that the career you choose will provide stimulation and challenge for many years to come. When you train to be a construction manager, you’ll be able to enter a dynamic industry where there is always something happening. No matter what the economic climate is, there’s always a need for construction, and as a project manager, you’ll have an important role to fill in developing the future of your community and of the country as a whole. Your job as a construction manager will be to oversee new building projects from the planning stage, right up to building completion. You’ll be responsible for signing off on plans and budget, you’ll liaise with investors and other stakeholders, and you’ll even choose the workforce and the best materials and tools that will help bring a project to completion. Your day to day role will have you interacting with people at all levels of the construction project, so you’ll need to have strong interpersonal and communication skills. You’ll also need to have a good understanding of the technical aspects of construction because you’ll be looking at architectural drawings and plans, and deciding on the best ways to achieve them. At times, you may even be working on a number of different projects simultaneously, so you’ll need to be a good multitasker with impeccable attention to detail. 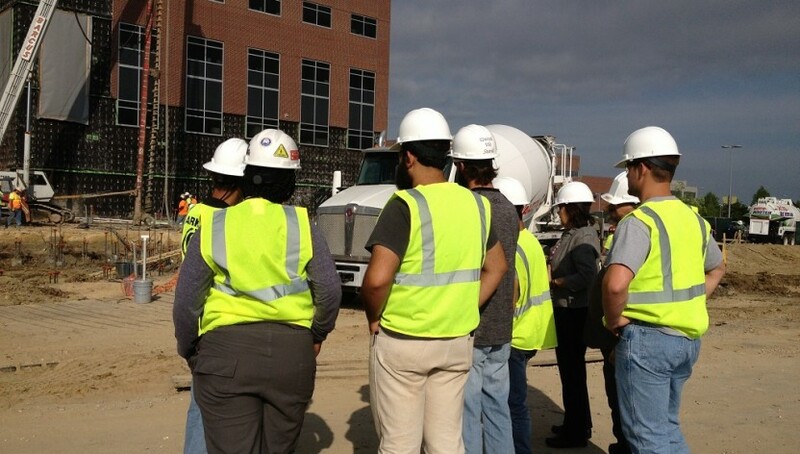 If you’re a committed learner and hard worker, then you’ll be able to take a lot from our construction management school in Baton Rouge, and we’ll teach you all of the skills and even the computer applications that you’ll use while on the job. Structured learning is the best way to make it into this profession, so if you’re ready for the challenge, then now is the perfect time to contact us for more information and begin the enrollment process. In the early stages of your degree, you will develop an understanding of the basics of construction management, as well as the materials that are used for construction, various construction methods, and aspects of civil construction. As the course continues to progress, you’ll take on architectural drawing interpretation, cost estimation, project planning, and scheduling. Many aspects of building construction management are similar to other fields of project management, and you’ll develop the skills that you need to manage people and time while working on a strict budget and project requirements. You’ll learn how to become a leader within any organization, leveraging off of your skills and knowledge to motivate a team right up to the end of any project. If you want to perform a role where you’re actually making a difference to people and the industry, then a career in construction management is a perfect choice. ITI Technical College’s Construction Management Associate in Occupational Studies Degree program can be a stepping stone to senior careers in the construction industry, or you could even move into consulting or international project management as you make a name for yourself in the industry. When you’re ready to take a positive step towards building your career, get in touch with our enrollment team. We’ll talk you through the course requirements and application process. With just a simple phone call, you could kick start a rewarding career in an industry that will allow you to demonstrate your skills on a massive scale.